Last weekend Carson, my oldest, went fishing with his friend, Wayne. Wayne invites Carson to do different things with him quite often. I always ask what Carson can bring . 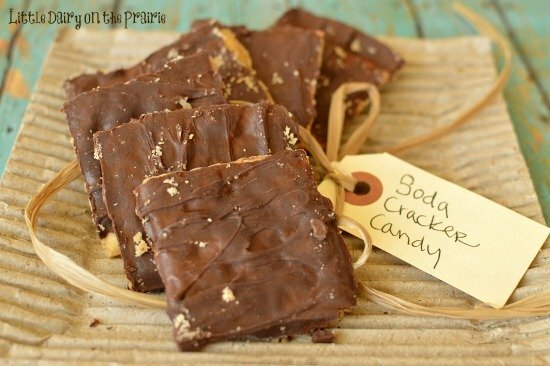 Wayne’s answer is always the same, “Soda Cracker Candy”. I’m always glad that’s what Wayne wants me to bring because it is super easy to make. It is inexpensive. Besides that I cannot stay out of the stuff. I have realized that I must make it when I am planning to give most of it away. Or else I might as well tape it to my thighs! Carson helped me make the candy. They had a very adventurous fishing trip. They had planned to leave early on Friday morning and fish all that day, spend the night in a sheep camp. And fish all day Saturday. Carson’s friend picked him up at about 5:00 a.m. and immediately asked where the Soda Cracker Candy was. Carson took it out of his bag and they started eating it. They headed to the mountains for a fun-filled weekend. On the way up the mountain their sheep camp and boat trailer came unhitched from the pickup. The sheep camp and the boat trailer rolled down a hill and into the river. All of their camping and fishing stuff was in the sheep camp, in the river. At that point I would have loaded the kids up and told them it must not be meant to be, and gone home. Wayne’s grandpa told them they would just go home, get new fishing stuff, a different boat trailer and go again. Wayne was glad they didn’t leave the Soda Cracker Candy in Carson’s bag, which is now in the river. Carson was most worried about Wayne’s Grandmas homemade chili, Carson thinks it was the most valuable thing lost in the sheep camp. It too is floating around in the river. The boys eventually made it to the river, slept in a hotel and had a great time. Carson is lucky to have such a great friend! By the way, this isn’t a big fishing lie! It’s the truth!! 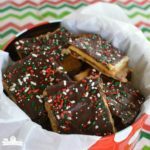 Anyway, here is the coveted Soda Cracker Candy recipe. It really is that good! Preheat oven to 400 degrees. 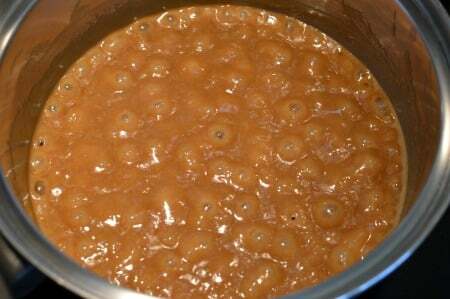 Slowly melt and bring butter and brown sugar to a boil over medium heat. 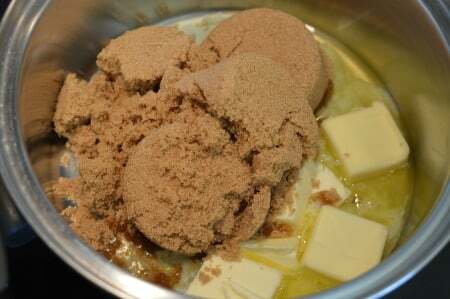 Stir constantly until the butter and brown sugar are gently boiling. Once it’s at a gentle, yet full, boil…remove spoon and continue to boil for exactly 3 minutes. While sauce is boiling, line a baking sheet with aluminum foil. Spray with non-stick cooking spray. 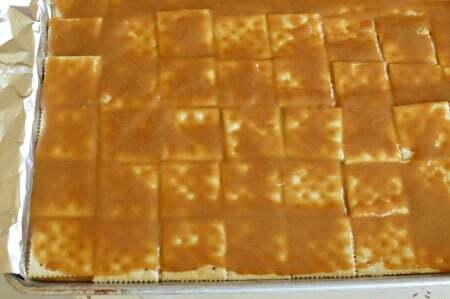 Line baking sheet with saltine crackers, salt side up. Carson decided that we shouldn’t leave a little blank space at the end and filled it up with graham crackers. If you want to fill it up with graham crackers, go for it. But it’s really not necessary. After three minutes of boiling sauce, remove it from the heat. 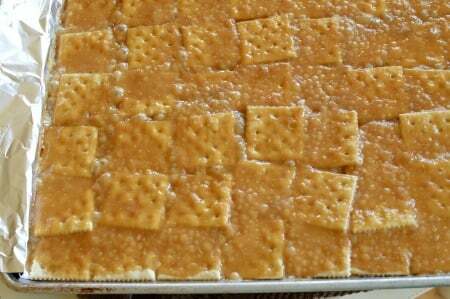 Pour it evenly over saltine crackers. Be sure to pour it in a frowny face! Carson was so proud of himself for drawing something with the caramel sauce. Use the back of a spoon to spread if needed. 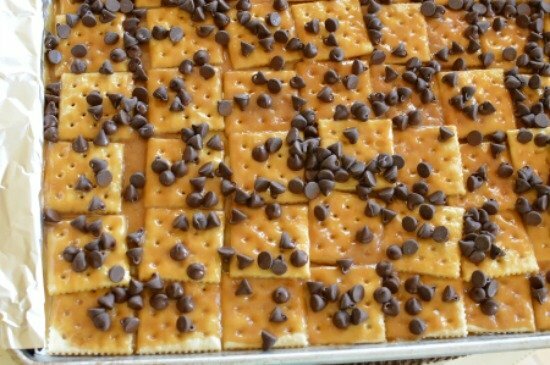 As soon as you remove candy from the oven, sprinkle with semi-sweet chocolate chips. In my professional opinion, we should have used more chips. But I always vote to use more chocolate chips. Let the chips set for a few minutes. They will get nice and warm and melted. Use the back of a spoon to spread. 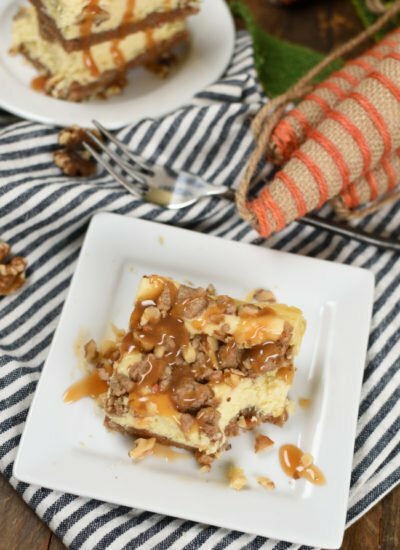 If you want, you can sprinkle chopped walnuts or almonds on top. Cool completely. If you have any leftovers, store in a cool place. 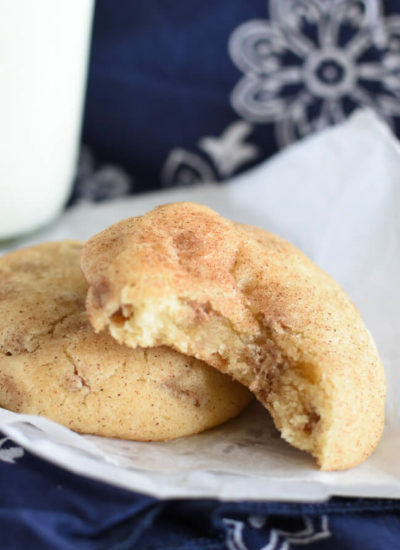 I always make these when my kids need baked treats. 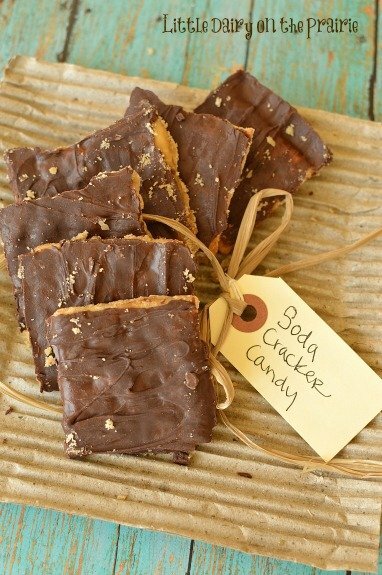 They are super fast, super easy and the salty sweet combination is so addicting. No one can eat just one! Preheat oven to 400 degrees. Line a cookie sheet with tin foil, dull side up. Place soda crackers on foil so they are touching. Over medium-low heat melt butter and brown sugar. Stir constantly until it reaches a full, gently boil. Once it boils, remove spoon and boil for exactly 3 minutes. 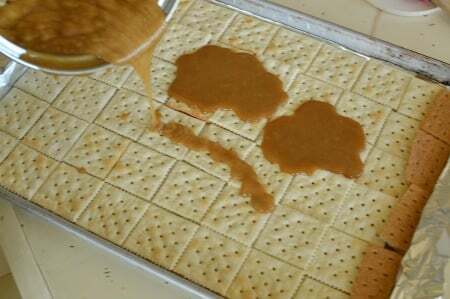 Pour sauce evenly over soda crackers. Use back of spoon to spread if needed. Remove from oven. Sprinkle chocolate chips on top. Let rest for about 5 minutes until chocolate chips are melted. Spread with the back of a spoon. Add walnuts or almonds if desired. We miss you and wish you were still hanging out with us! Good memories. And thanks for eating all of the soda cracker candy. If you wouldn’t have eaten it…I would have! You were a lifesaver in more ways than one! I just read your article in Progressive Dairyman and thoroughly enjoyed it. (I looked up your blog, so I could tell you right away!). We have the same thing with meals – we all eat together – not on any schedule, though. Our breakfast is anywhere between 8:30 and 10 or so; dinner somewhere around 2:30 or 3:30 (or 4, if the farmer’s running behind – in which case he eats and runs); and supper is after the barn work is done (or later! during the summer). There was definitely a learning curve for me when I married a farmer. Your recipes here look delicious! Have a great weekend! I’m glad you looked me up! I quickly learned that life on the farm means a life of cows. The cows set every schedule in our lives. Although, I wouldn’t trade the experiences my boys are getting for any normal schedule! Hopefully you find some recipes here that are perfect for those eat and run meals! Happy farming!! All of these ingredients can be kept in the pantry and ready in a moment to make someone’s day a little special. Things that remind us if our moms are good things! Glad you stopped by! I love these treats. 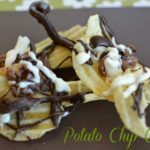 I have been making them for years, and they are so easy and delicious. I might have missed it in the recipe, but I find that these are a lot easier to get off the foil if you spread a bit of butter on the foil, before laying the crackers out. Thanks for the recipe! 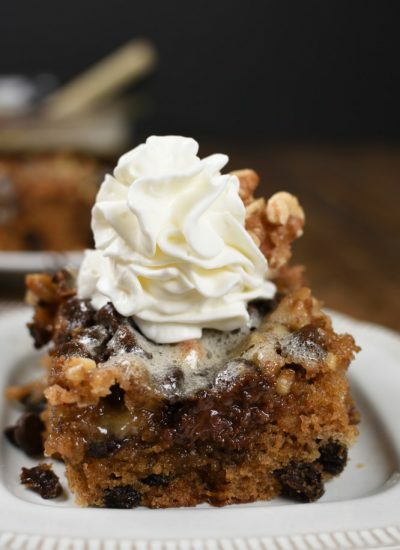 This recipe is a staple in my life! They are so quick to throw together and they always turn out! I always spray the foil with cooking spray and it works great! Although I should use butter since I own a dairy farm! Great suggestion!! Just made these for the first time with my 4 year old son and we had a blast making them! Now we are having a hard time waiting for them to cool off so we can eat them! 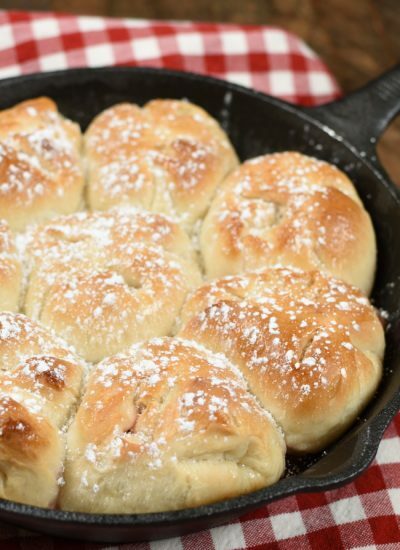 Thank you for sharing this recipe, I’m sure it will become a staple in our household as well! Happy Holidays! I love how easy it s for kids to be involved in making this candy! Hope you and your son loved it. Merry Christmas! 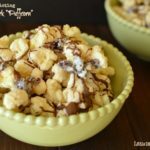 This is my #1 go to recipe when I need a treat and I’m in a huge hurry! They are always a hit! 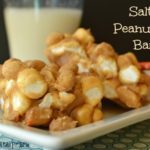 The addition of peanut butter sounds amazing! I will have to try that! Blog states to bring butter/sugar mixture to boil over medium heat, but recipe states to use medium-low heat……is one better than the other? I like just under medium heat. If I bring the mixture to a boil too fast it separates. I’m sure either temperature is low enough that it would work just fine. I will fix that! Have you ever frozen these? That’s funny you asked. I was wondering this myself the other day. I didn’t try it but don’t see any reason it wouldn’t work. Let me know how it goes if you try it! Id like to receive email updates on new posts. I know what to do with a pound of ground beef, but when it comes to creating an emailed newsletter, I’m lost! I need to get going on that! For right now I think you can go to my RSS feed and you will get automatic updates when I post. Let me know if it doesn’t work and I can help! 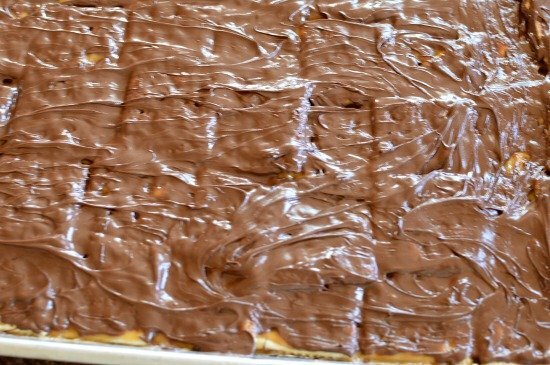 Hi, I’ ve made these, they are just delicious, but the butter separated from the brown sugar and I had to pour away all the remaining fat from the butter. What could have happened? What did I do wrong? Do you have any clue? Or it is the way this recipe is meant to be? I really want to make them again and so I appreciate your kind help! Thank you from Argentina! Hi Mariana! I’ve actaully had that happen before and I have decided that it can happen for a few reasons. Cooking the mixture too hot and too fast can result in having the butter and the brown sugar separate a bit. The other trick is to stir it with a whisk the whole time it is cooking. Hopefully that helps! This stuff is worth the stirring! Your recipe calls for 1-2 sleeves of soda crackers. Will the sauce cover 2 sleeves or should I double the recipe if I use two sleeves? Hi Marg! I use a jelly roll pan, the half sheet size. I usually end up using about 1 1/2 sleeves of crackers. I just line them up until they are touching sides and I have just the right amount of sacue to cover them! My caramel was grainy! Ideas? Without seeing exactly what’s going on it’s hard to say. The biggest thing is to make sure you stir the butter/sugar mixture as it comes to a boil over medium heat. I like using a whisk to stir it together so the butter and sugar don’t seperate. Bring it to a full rolling boil, that’s a boil that doesn’t stop even when you are stirring it. For some reason if it’s brought to a boil too fast, or isn’t stirred the whole time it gets either grainy or separates. Once you get the hang of it they are really simple to make! Next time will be awesome! Works perfect, but have you tried ‘salted side ‘ down? I think it’s great to get the salt on your tongue first, then the sweet flavors come through right after. Now that is a great idea! I’m trying that next time for sure!